The Congress today managed to secure a comfortable majority over the ruling BJP in the state elections held for Karnataka. At the time of writing this article Congress had won 118 seats with leads in 3 taking the total to 121. The BJP and the JDS are tied in the 2nd place at 40 each(lead + wins). The question in minds of many Indians is how did Congress manage to win the state polls in Karnataka. With all the 2G,3G, Coal Gate, etc scams how did the Congress leadership find the winning combination. The answer is not hard to find out. Over the years, the voting for the General Elections and the State Elections have shown a distinct difference in terms of voters preferences. For the General Elections, the voters from the cities to the remotest places go with the national agenda like Security, Terrorism, Corruption, Economic policy, Nationalist planks, Governments stability, etc. But for the State elections the electorate general prefer to vote in a party who they look upon will save their state and take on the path of progress. I had visited Karnataka in the month of Feb, 2013 and the first things I noticed that there was absolutely no work being done by the state government for any thing. The roads were bad, there was no electricity for 2 sometimes 3 days. The general administration looked asleep for the whole period since Yeddy was ousted from the CM's chair. When I enquired with the local people, they only had very choice swear words for the incumbent government of led by Jagdish Shettar. Their main grouse was the electricity, water and roads. And all the Shettar government had failed on three counts. Then there were lot of security issues with the bombings in Bangalore etc which led to further downfall of the Shettar government. When I was researching for this article I came across a statement by Prime Minister Manmohan Singh. "The people of the country know what is what and they will reject the BJP ideology as the result in Karnataka shows." I am afraid the Congress election managers have got the result read into, completely wrong. The win was not for ideology as the Congress President Sonia Gandhi and Prime Minister Manmohan Singh have stated in the the news. It is a loss for bad governance by BJP. Only the Finance Minister P.Chidambaram seems to read the situation correctly. Finance Minister P Chidambaram promised that there will be a stable, progressive and hardworking government in the state for next five years. And PC is right, this is what the people of Karnataka want. A very very bad governance which the poor people the Karnataka had to suffer 5 years ultimately resulted in BJP being the door. Ever since Yeddy was removed from the CMs chair, there has been no developmental work in Karnataka, people who require basic things like electricity, water and roads have waited and waited for 5 years so they can elect somebody who will give them just that. One of the major mistakes from the BJP election team was not to gauge the mood of the people of Karnataka, because what I learnt from my week long visit, they could already have known. I guess they already knew it, that is why BJP is hesitant to force the election issue in Loksabha. 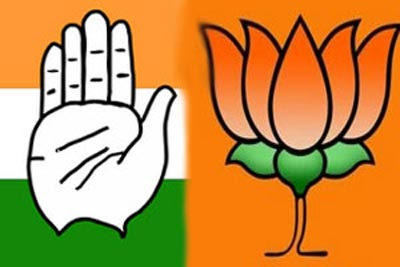 It is very well known fact that the Congress is in minority and BJP alongwith the other parties can force a no confidence motion easily but, for the above reason which probably the BJP managers know, they are not sure about the general mood of the public. Anyways, the early general elections question has been put off for now so the Indian public. Please write in your and share your views about the Congress win and BJP loss in Karnataka. dont know if it was much needed ... but of all congress .. ?? to be honest BJP may be bad but Congress has been worst .. at least in Centre .. taken the country for ride .. since ages !! I am not too happy about the result personally thinking about 2014 G E !! hopefully GE results turn out to be something concrete whoseover it be but not that hand of corruption and cheats again !! At the end all of them are alike ! !